How are the Dallas Mavericks supposed to recover now? For the second year in a row and third time in four seasons, the team failed to make it out of the first round of the NBA playoffs. It really is a head-scratcher. They had the players, they had the coach, and they had what seemed like the right pieces to make a serious push for the game’s highest price. But once again, the Mavs came up short. And it’s their own fault. Dallas won 50 games this season and only lost 32 times. It put up 105.2 points per game (third of 30) and had the fifth-highest offensive rating in the league (109.5). But all season, this team lacked a defensive identity. What good is scoring if you can’t stop your opponent? So the Mavericks made a change that was supposed to help them in all areas of the game: They traded for point guard Rajon Rondo. However, the same move that should’ve sent chills through the spines of the game’s elite ended up being the very thing that led to the team’s surprising downfall. And in doing so, the Mavericks hopefully learned a valuable lesson — above all else, the team comes first. It’s easy to say something to that effect, but it’s another thing to actually go and put those words to action. The Mavericks appeared to lose sight of that. And it would be easy to write this group off again next season. Except, maybe it’s not too late for these guys. After all, when you have a leader like Dirk Nowitzki, a guy who’s willing to put potential team needs above his own, there’s no reason not to be optimistic. Yeah, I mean, whatever it takes. I’ve always said that. My last two years I want to enjoy. I want to be a good team. I want to be on a winning team. Playoffs. Hopefully deep runs. So, yeah, anything I’ve got to do to help is obviously no question. With a guy of Dirk’s character and level of loyalty and level of love for this franchise and this city, he’s demonstrated pretty thoroughly that he’s willing to make any sacrifice possible. He’s made great financial sacrifices to get the team better around him, so it doesn’t surprise me that he said that [he is willing to become a sixth man]. Is it possible? It’s possible. Is it likely? I’m not sure about that. But the fact that you’ve got a guy who is basically an iconic player in this league willing to even talk about something like that is character just above and beyond the norm. It’s just another reason why we’re all privileged to have a chance to work with this guy. This isn’t about whether Nowitzki will come off the bench next season, but rather that he’s open to making the change. You need players like this on your team, the ones who are willing to do whatever’s necessary to help the group succeed. But when those players happen to be your best players, then you know that anything’s possible. 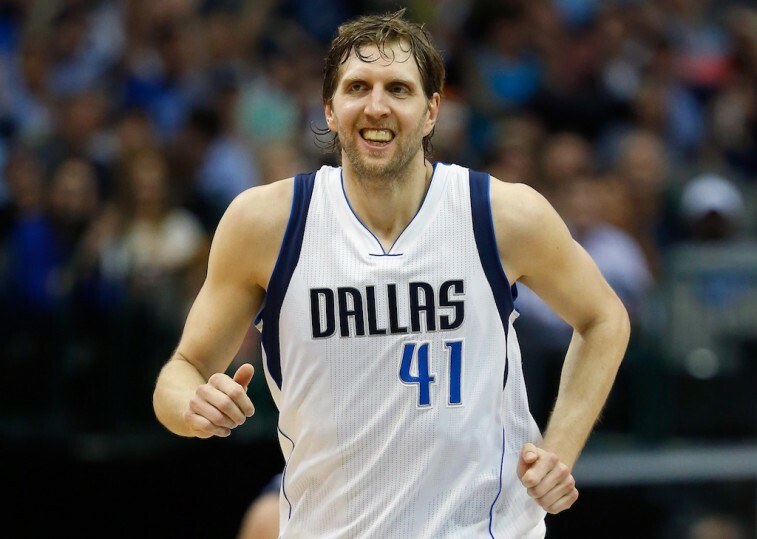 We’d be a bit surprised to see Nowitzki as the Mavericks’ sixth man in 2016. His numbers have dipped over the past few seasons, but he’s still a fantastic player. His strength is underrated, his high-arching shot is nearly impossible to defend, and he plays with such heart. He’s the type of guy who you want on the floor as much as humanly possible. But again, Dallas needs to improve its roster, and many of the top free agents this summer play the four-spot. Yet Nowitzki will do what needs to be done. He’s won before and he hopes to win again. Sometimes, in order to do so, it takes sacrifice. Fortunately for the Mavericks, this is something that pretty much goes hand in hand with their veteran superstar. 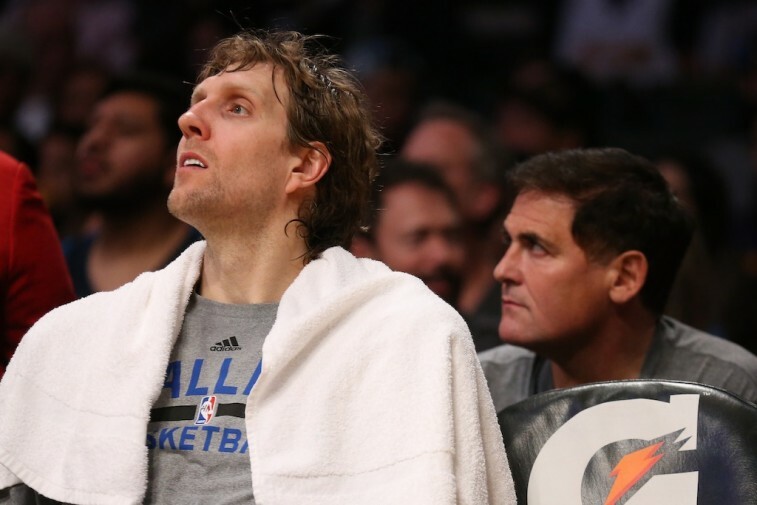 Nowitzki, like he’s always done, will continue to put the team first. It’s this unselfishness that’s going to save the Dallas Mavericks. 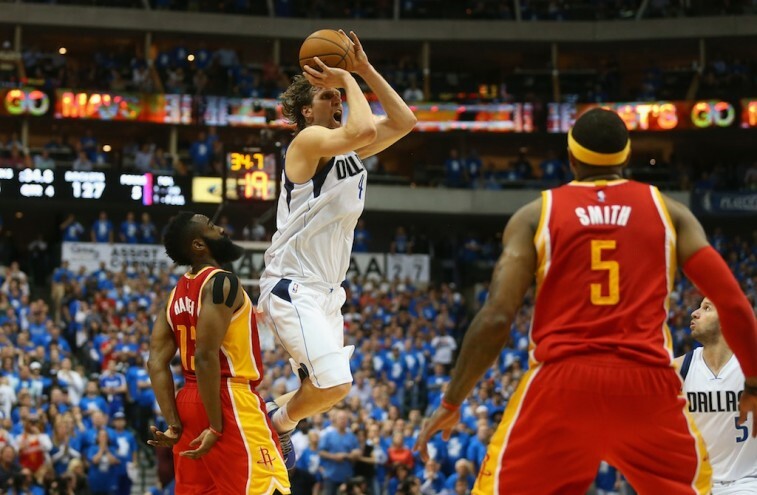 Once again, Nowitzki shows just how fantastic he truly is. All statistics are courtesy of Basketball-Reference.com.